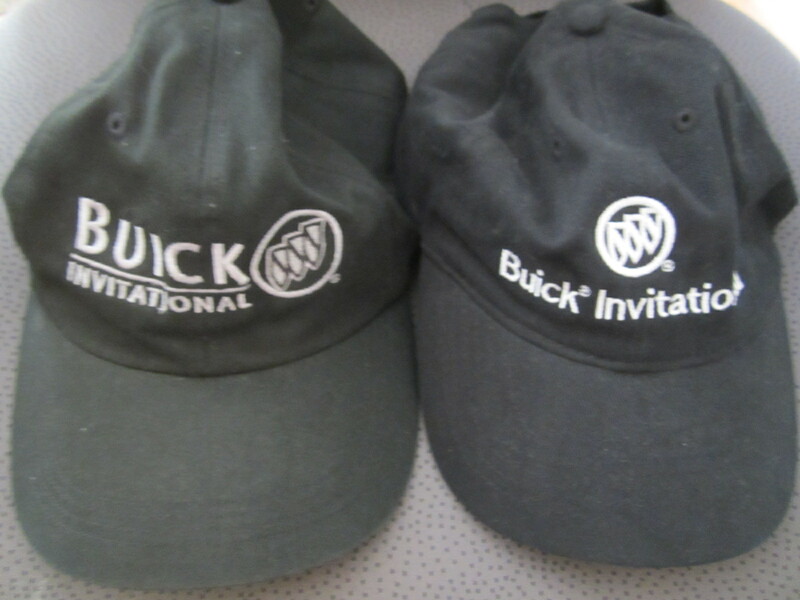 Set of 2 different Buick Invitational black embroidered golf caps or hats. One is from 2008, the other probably a year or two prior. Adjustable size (strap in back). Worn by a volunteer during the tournaments but in excellent condition. ONLY ONE SET AVAILABLE FOR SALE.